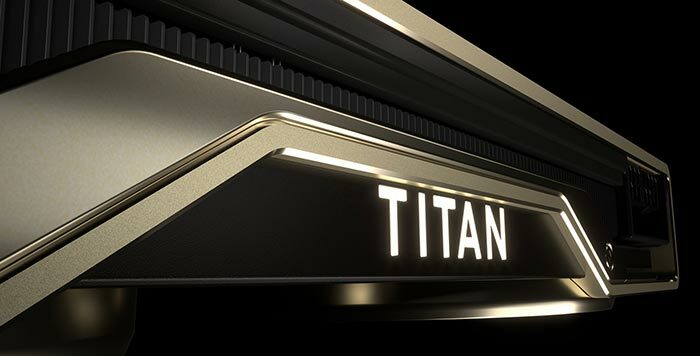 Nvidia has launched the recently teased Titan RTX, which it variously refers to as 'The Titan of Turing' and 'T-Rex'. At the Conference on Neural Information Processing Systems in Montreal, Canada today, Jensen Huang, founder and CEO of Nvidia, repeated his claim that "Turing is Nvidia's biggest advance in a decade – fusing shaders, ray tracing, and deep learning to reinvent the GPU". Huang added, more specifically, that "The introduction of T-Rex puts Turing within reach of millions of the most demanding PC users — developers, scientists and content creators." 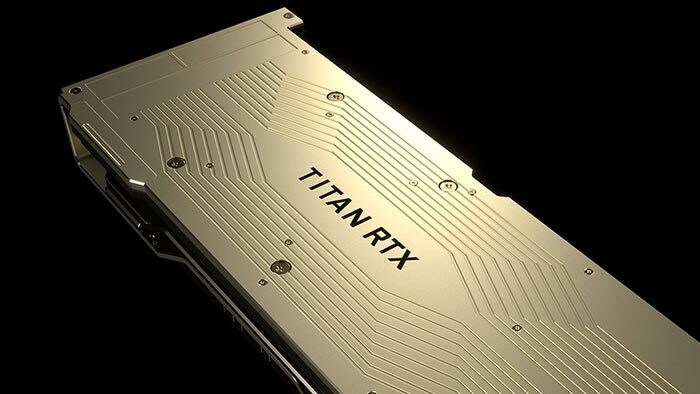 The hope for the Nvidia Titan RTX is that it will "transform the work of millions of developers, designers and artists across multiple industries." Nvidia thinks this will be a result of its unique combination of the new multi-precision Tensor Cores for AI training and inferencing, the new RT Cores to accelerate ray tracing, plus the enhanced compute and enhanced rasterization abilities from the latest CUDA cores. Looking at specific use cases, Nvidia reckons that AI researchers and deep learning developers will appreciate the multi-precision Turing Tensor Cores will deliver breakthrough FP32, FP16, INT8 and INT4 performance, allowing faster training and inference of neural networks. Data scientists will look forward to the accelerates data analytics with RAPIDS, one of the most popular data science workflows. Last but not least, content creators will likely be enamoured with the power real-time ray tracing and AI bring to creative applications. Additional tech specs can be found on the official product pages. For example, not mentioned above, there are 4608 CUDA cores (compared to 4352 in a GeForce RTX 2080 Ti), the GPU base/boost clock is 1350/1770MHz, the GDDR6 sits on a 384-bit interface, the GPU features 18.6 billion transistors, and the T-Rex's TDP is 280W. In an email to HEXUS, Nvidia said that the Titan RTX will become available in the US and Europe later this month, priced at $2,499. It's a Quadro RTX6000 with an artificial lockout so it can't be used in datacentres and other specific workloads. Call it what it is Mark, don't give Nvidia any more space and lip service than is necessary. Article title should have been “Nvidia release Consumer orientated Quadro RTX6000”. Because the specs are pretty much exactly the same, the lockout is the only reason why owners of the Quadro RTX6000 aren't foaming at the mouth. PhysX opensourced too from a quick look on Twitter. $2,499 Nvidia Titan RTX: for consumers that go full retard!